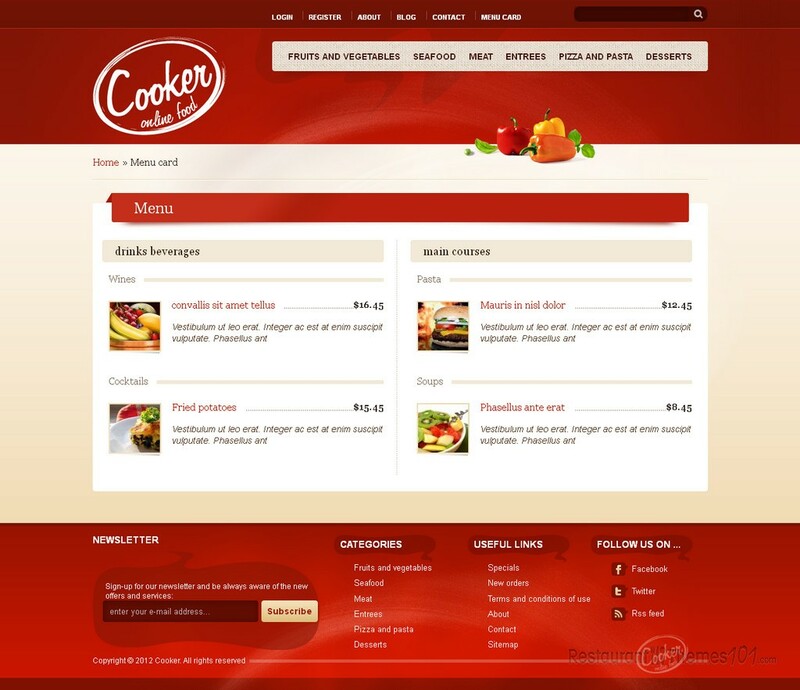 Cooker is a Drupal restaurant theme created by Tabvn, with a nice, colorful layout and many handy options. 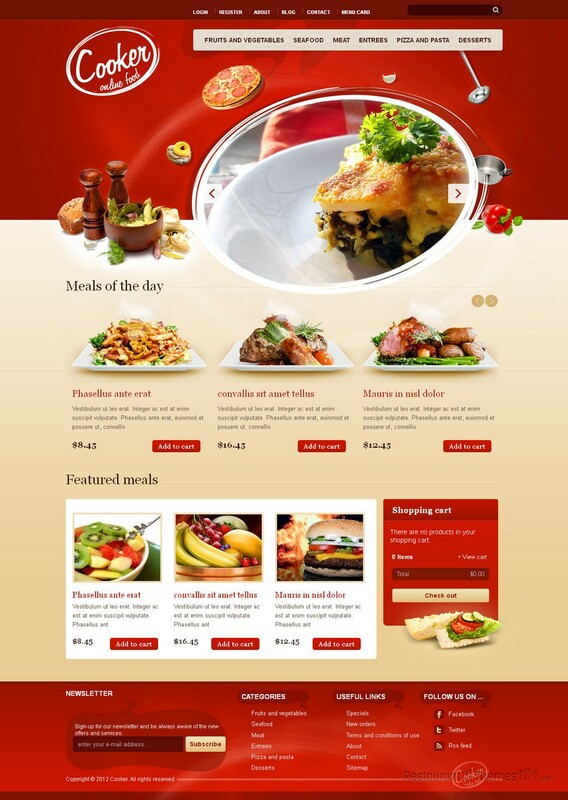 This trendy restaurant template for Drupal is featured at ThemeForest. 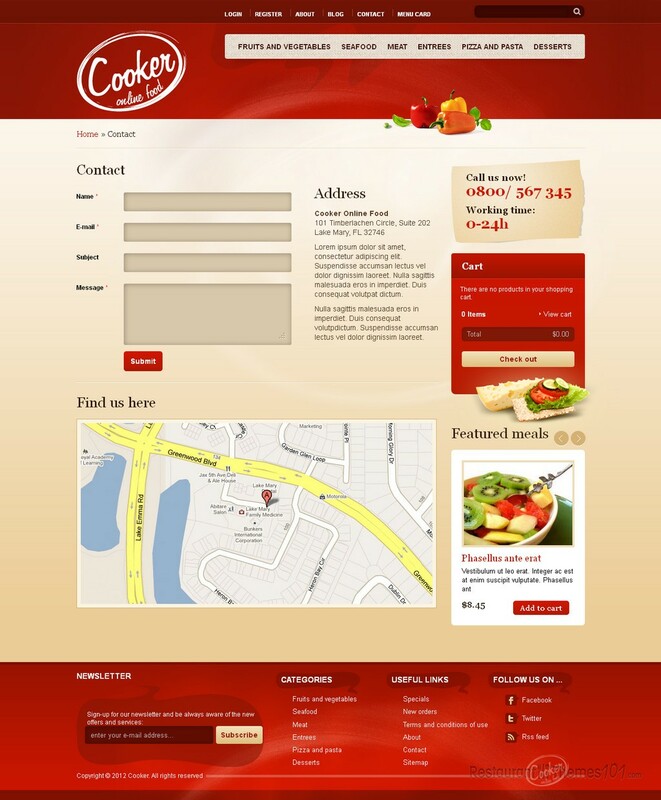 Cooker is a quality theme created using HTML5 & CSS3, and it is perfect for any food related business, no matter if you are running a restaurant, a pub, a bar or a bistro. It is best used for Drupal version 7 and it’s compatible with Ubercart. The template is SEO friendly, meaning your website will rank high on search engines, which will surely give you a lot of traffic. 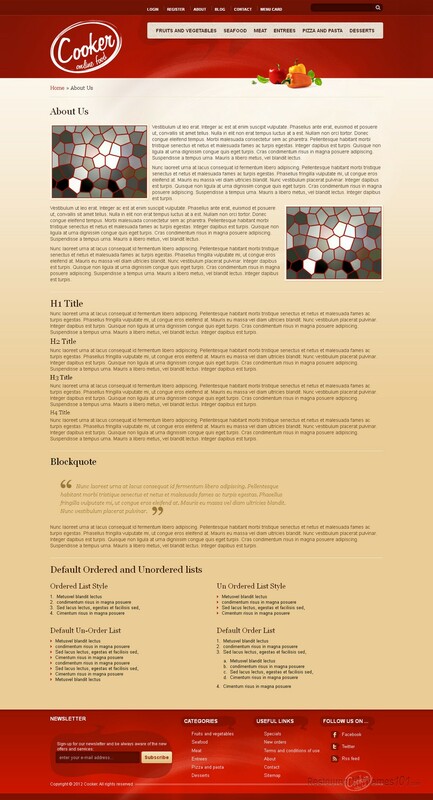 The theme options are very easy to operate, and if you want to customize it to fit your needs perfectly, it will be very easy to do so because this theme comes with layered PSDs. 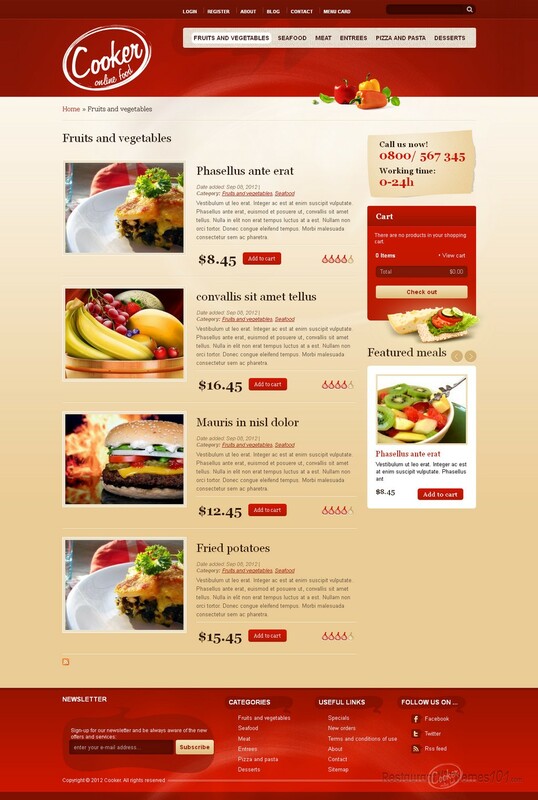 The homepage features a slider where you can add photos of your restaurant rotating, or photos of your dishes with the possibility of linking them to the menu and by clicking on them your visitors will be taken straight to a page where you can present your food in detail to them. You can display many products on the homepage in a nice, dynamic way. Beside the slider you can also add your featured meals or today’s specials in a thumbnail form, and again, clicking on them will lead your visitors to a full content page. The menu card looks great and it comes with easy management so you can create a categorized menu very quickly and easily. This theme features a payment method API with many different payment gateways and this makes it super easy for your customers to order and pay online right there on your website. Social integration is very nicely done and you will be able to link your website to Facebook, Twitter and RSS feed. A nice and simple contact form is also featured in the “contact” area, and so is Google Maps, with exact directions to your restaurant. 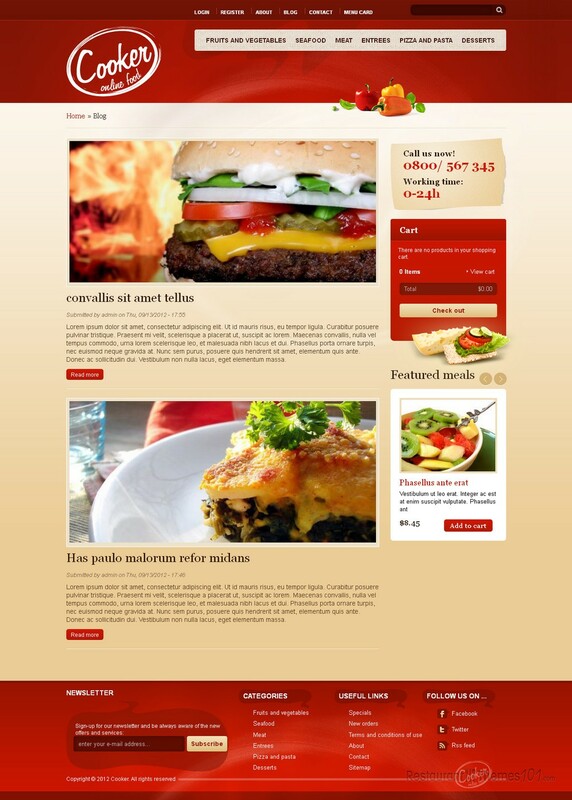 Besides this Drupal theme you can buy Cooker also as a WordPress or HTML template.